Carolyn Kerr has joined BCS Wealth Management as an Administrative Assistant. 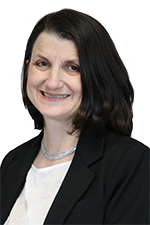 Carolyn has been in Office Administration for over 30 years in the medical field. She received her Associates of Science in Medical Assisting from Bristol College. Carolyn is active in our community. She currently serves as Youth Program Director for Piney Flats United Methodist Church and helps with all children’s programs and Family Promise. She also has volunteered with United Religions Initiative, Habitat for Humanity, the Appalachian Fair, the Girl Scouts, the American Red Cross, and the Remote Area Medical Free Healthcare Clinic. Carolyn is a recipient of the 2017 Leaders in Christian Service Award from Milligan College.